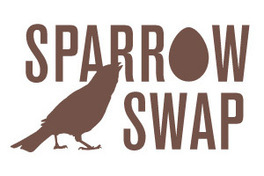 "Bringing Back Bluebirds For Future Generations"
The Sparrow Swap Project is a citizen-scientist driven study of the House Sparrows that colonize nest boxes, particularly those previously established by bluebirds. The goal of the Sparrow Swap Project is to minimize the damage done to native birds, especially bluebirds, by House Sparrows by studying the outcomes of different management strategies. We need your help to gather more data! Participants can get involved by choosing to be a Remover or a Swapper. As a Remover you will remove the House Sparrow eggs and nest and report what happens to that nest box and native birds nesting in neighboring nest boxes. Swappers will remove House Sparrow eggs and swap hand-painted egg replicas (We’ll send them to you!) into the nest. Removers and Swappers will then report what happens to the nest boxes and the neighboring native birds. This project was initiated and run by the North Carolina Museum of Nature Sciences and is sponsored by the National Science.